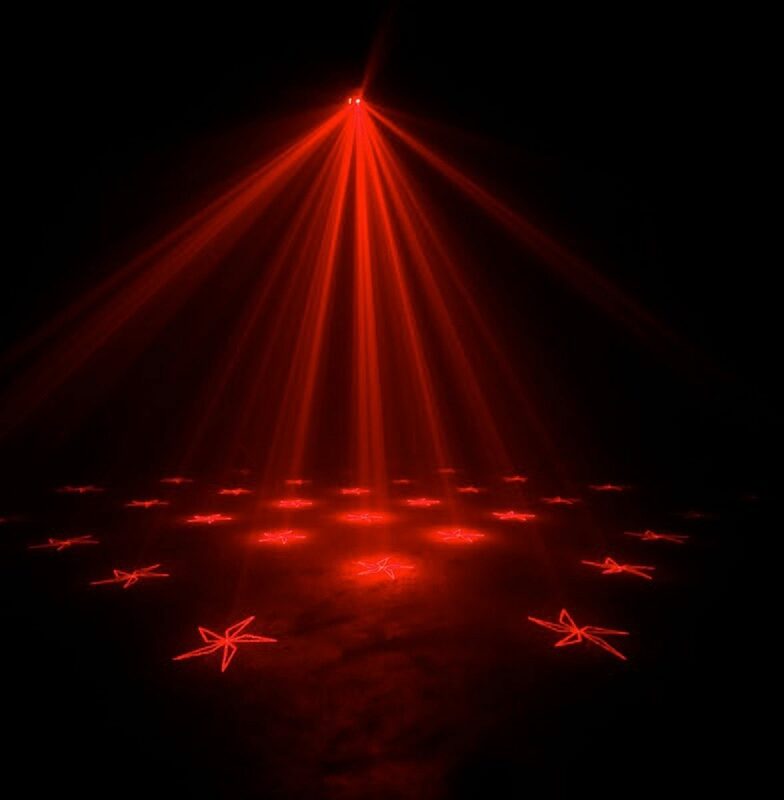 Get any party started with the Micro Gobo II! 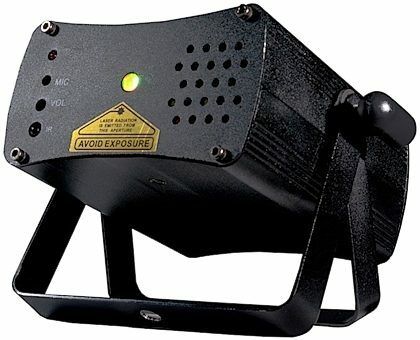 This green and red laser produces more than 200 beams with 8 gobo patterns that may be projected on a wall, ceiling or dance floor. This laser is safe to use and complies with FDA standards. The Micro Gobo II is easy to use -- just plug it in and run the laser's built-in lighting programs in Auto or Sound Active mode. Change programs, colors and black out with the included UC-IR wireless remote control. The Micro Gobo II's compact, lightweight case design makes it ideal for mobile entertainers, bands, night clubs and bars or any party goers!